Different kinds of accidents and mishaps occur because of careless attitude from the drivers who drive sloppily. Sometimes, such incidents take place because drivers are not too young or elder to drive well. At the same time, it may your mistake while crossing the road and then becoming the victim of any car or vehicle. However, now different kinds of mishaps clarified the fact which says that mostly accidents occur because people drink alcohol and then drive which causes much harm not just to them but lots of other people too. Now, a question arises in the mind that why do people reveal so careless attitude and why do they drive after drinking alcohol even if they are not in proper senses. There may be several reasons behind this fact where some of these causes will be discussed in the following section. If you want to stay away from such mishaps you must know these reasons very well so you would not become victim of such accidents and calamities. 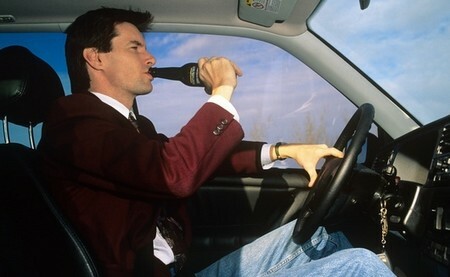 What is the most dangerous reason which let people drive after drinking? We do many mistakes because we don’t know about our own feelings and behaviors well. Yeah, it is the same case with this issue. Lots of people drink but they think that drinking does not affect their senses and they remain in the same state of mind as they were but actually they are not. Now, it does not matter how mature you are whether you are young person or quite elder one but you should realize that it may affect your senses well and which may cause various threats not just to yourself but to several other innocent people as well. It is not too strange to feel out of mind after drinking and you have to accept it for yourself as well if you lose your senses too. Usually, youngsters and people who like to impress others don’t care about this matter really. For the same reason, they drive just after drinking and finally they become source to destroy many lives just because of their careless and brash behaviors. So, this is the main cause for which people drive because they don’t think or accept that alcohol is bad enough to take away their senses and then, they may be bad for others to take away their lives. Among so many reasons for people to drive after drinking is that they are not actually aware of the probable and most considerable effects which drinking leaves back. The most probable effect of drinking is that it takes away your state of mind and makes you out of mind. Usually, people know about it but sometimes, youngsters don’t know the fact and get out of their home for driving just after drinking. Now, you and many other people are at risk because of this lack of information.